The only reason why I give The Jewel three stars, instead of four, is because the beginning pace of the plot. Usually I prefer the books I read to move a bit faster. Luckily, once The Jewel hit the late 100s the pace picked up. Now, onto more exciting news . . .
Violet Lasting lives in a world where poor girls from the Marsh are taken away if they possess a special genetic quirk that will allow them to carry babies to term and without deformities for the royalty of The Jewel. After years spent in a holding facility honing her abilities, Violet -- along with hundreds of other girls just like her -- is sold to the highest bidder. The Duchess of the Lake. Stemming from a long line of royalty -- more specially one of the four founding houses of The Jewel -- the Duchess of the Lake expects to get her way, as she usually does. And what she wants is for Violet to use her Augury abilities to grew her a child to gain more control in The Jewel. But there is more than meets the eye to the surrogacy set up. 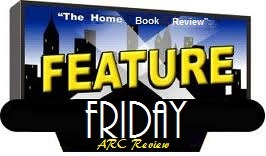 In the mist of murder, enslavement and deadly secrets, Violet must find her way. And fight for the power to make her own choices. Even if they cost her her life. Violet is a likable character. And likable characters are never something to turn a nose up at. I appreciate that she is not a completely docile character who lets her circumstances rule her. She has a little spice to her, which makes her a bit daring and the story more interesting. Even more so, Violet has people she cares for and a passion for something. Music. I am a sap for a character with a strong passion for something that makes life sparks inside of them. And in Violet's case it is the cello. "The memories burn inside me like a candle flame, and the bow flies across the strings, the notes climbing higher and higher and I feel free, really free, because no one can touch me in this place, no one can hurt me, and as I draw the bow across the final fifth, a chord that reverberates throughout the cavernous room, I realize that I am smiling and a tear trickles down my cheek" [page 225]. Having said all that, who doesn't love a badass best friend, good ole forbidden love and cute guys? The Jewel has all the above! Violet's best friend is the fierce Raven who was also auctioned off but who refuses to let the wicked Duchess of the Stone to break her. And when Violet discovers a devastating secret that jeopardizes not only herself but her best friend, she is forced to make a difficult decision that has the potential to ruin all that she has hoped for. A way out of The Jewel. My heart explodes into a million glittering fragments that rain down like fireworks through my chest. He closes his eyes and breathes it in, like it's the answer to a riddle or a secret key. 'Violet,' he murmurs. Then his mouth is on mine" [page 253]. By the end of The Jewel I was disappointed the story was over. Talk about a cliffhanger! The Jewel is a hypnotic tale that smoothes you into false security then rips the carpet right from under you but all you can do is beg for more. Well done Ms. Ewing! 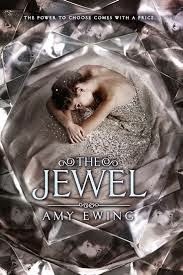 Also, I want to say thanks to HarperTeen for handing out copies of The Jewel at BEA 2014!